Student Success Center (SSC) is located on the first floor of the St. Clair building on the East Campus. The SSC is committed to providing students with the facilities, resources and services designed to enhance learning. DMC students will find peer tutoring, workshops and seminars, and technology resources to assist them to succeed and promote positive learning outcomes. Supplemental Instruction (SI) is an additional service that is housed at the SSC. Peer tutoring refers to students working in pairs to help one another learn material or practice an academic task in a peer-to-peer environment. For the tutor, it can be a comprehensive career experience. For the student, it's an opportunity to learn from another student who is "on their level." Tutoring sessions usually occur in a small group or one-on-one tutoring sessions. For more information, call (361) 698-2259. Student workshops and seminars are designed to encourage and continue a student's academic growth and development. Topics range from academic to health and wellness and are held Wednesday and Thursday. Workshop topics are based on student and faculty surveys. For more information, call (361) 698-2267. The Technology Resource Center (TRC) provides student computer workstations for academic support and includes a variety of software programs and the Internet. The TRC also has a loaner program for laptops and graphing calculators for student checkouts. A valid Del Mar College ID card must be presented to checkout laptops and calculators. Students must be in good standing. For more information, call (361) 698-2234. Student Success Center mission is to empower students inside and outside of the classroom to achieve their greatest potential. 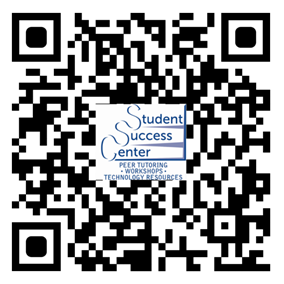 Through services provided by the Student Success Center students are able capable of attaining their educational goals and to enrich their lives personally and professionally. We believe that by empowering students to be actively engaged in the pursuit of their educational goals, all students are capable of fulfilling their dreams while here at Del Mar College. Page last updated September 25, 2018. Visit Viking Central on Canvas (student login required) and click on the Tutor.com link in the left menu.